Is Detroit’s Data More Open? Almost half the “datasets” that the City of Detroit released are simplified duplicates of larger datasets or visualizations. In truth the city released about 46 datasets, about half of the “over 90” datasets that were announced. 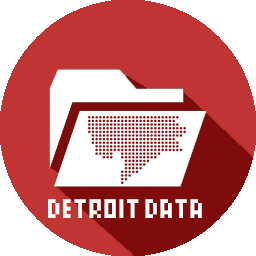 Out of the 46 actual datasets released, only 28 are new datasets that couldn’t already be found at the old City of Detroit GIS page, Data Driven Detroit (D3), or DetroitData.org. This is still an incredible gain for open data. I just don’t understand the reason behind inflating the numbers. After years of a substandard webpage with download links to GIS files, the City of Detroit entered the modern open data era with a Socrata data platform supported (read: free) from their new Socrata Foundation. The city has been trumpeting that it has released over 90 datasets to the public. This would be an incredible feat in a formerly bankrupt government with multiple departments spread out and often at odds with one another. Yet, there are fewer datasets from the City today than when they were using the old webpage with download links to GIS files. Many of those now missing datasets were historical and have relevance to the current changes in the city. The bigger story here is that the City has adopted a comprehensive, broad ranging, open data policy for all departments that places City data into the public domain. Regardless of how many datasets were released, this is the most important step towards progress in open data for Detroit. Data in Detroit made leaps when a Chief Information Officer (CIO) was appointed, but appointee Beth Niblock faced the daunting task of getting the City Government off of a mainframe and upgrading its systems for the current century. She often spoke about the issues of not having up-to-date computers and getting push back from various departments. Then a Deputy Director of Civic Technology Outreach was hired with support from the Knight Foundation. Garlin Gilchrist, appointed August 2014, is focused on equitable access to information and yet again open data for Detroit was a goal within reach. However, many people and organizations had already given up waiting for the city to launch an open data portal. Data Driven Detroit (D3) was founded in 2008 with support from City Connect Detroit ($1.85 million from Kresge Foundation and Skillman Foundation) as the Detroit Area Community Indicators System (D-ACIS) with the idea of pushing for more open data. The organization became a Detroit data powerhouse, but the majority of their data remained behind closed doors. There was an unsupported initiative within the organization called the Detroit Data Collaborative (DDC) led by a few dedicated staff members that attempted to make their data more accessible, but that only lasted about a year. Finally in 2014, D3 launched their own open data platform through the Esri ArcGIS OpenData Beta initiative. I also gave up waiting for a data portal solution and worked with a group of individuals to launch DetroitData.org which is built on the leading open source data sharing platform in the world, CKAN from the Open Knowledge Foundation (OKFN), which is utilized by major international institutions and city governments alike. The great opportunity with CKAN is to make open data a community in Detroit where everyone with an internet connection can share and collaborate with data. Detroit has a thriving civic technology community already and too many institutional platforms are restricted and insular. Some great CKAN examples come from OpenDataPhilly.org and DATA.GOV. Back to the issue of duplicate datasets, they are not a new occurrence. Many organizations take the time to simplify datasets to help make them less cumbersome and more usable, but that doesn’t increase the amount of data. There are a few city departments that are conspicuously missing from the new data portal, namely Detroit Water and Sewerage Department (DWSD) and the Department of Neighborhoods (DON). In a recent interview on WDET, Gilchrist noted that finance data would be made available soon to improve the transparency efforts. It will be great to see how the community meetings go where Gilchrist will help residents navigate the open data portal site. @DetroitData data from all departments is in the works and will come online on an ongoing basis. We can only hope that the City’s new open data policy actions will align with the Mayor’s (and staff) statements about becoming a more transparent city government. The City of Detroit is fighting many fires now and I hope that in the process they don’t forget about collaboration and the citizen driven efforts already under way. The open data portal has been a small step overall for data in Detroit, but the adoption of an open data policy holds huge potential for the future.